Pioneers in the industry, we offer industrial single phase control panel, single phase control panel and service panel from India. 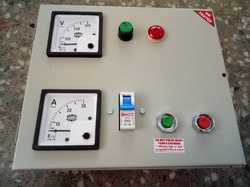 We have attained wide reputation in the market by developing best quality Single Phase Control Panel. The offered panel comes with an assurance of superior functionality and due to its innovative design it becomes the first choice for controlling electrically operated processes. Featuring compliance to the set industry norms for electrical safety the offered panel is fitted with leading quality switch gears and other components. Further, these panels come in powder coated enclosure and can be availed from us at a nominal price. 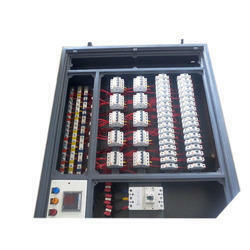 We are one of the leading manufacturers & suppliers of Meter Panels. Our panels are fabricated using high quality raw materials and are fitted with reliable controls procured from reliable vendors in the market. Being a quality conscious organization, the supreme quality of the offered panels is never compromised. The outer structure of the panels are coated using high graded powder coating which makes it long lasting and can withstand any climatic condition.